On the weekend Britty and myself went to Berlin to check out the sights of the city. 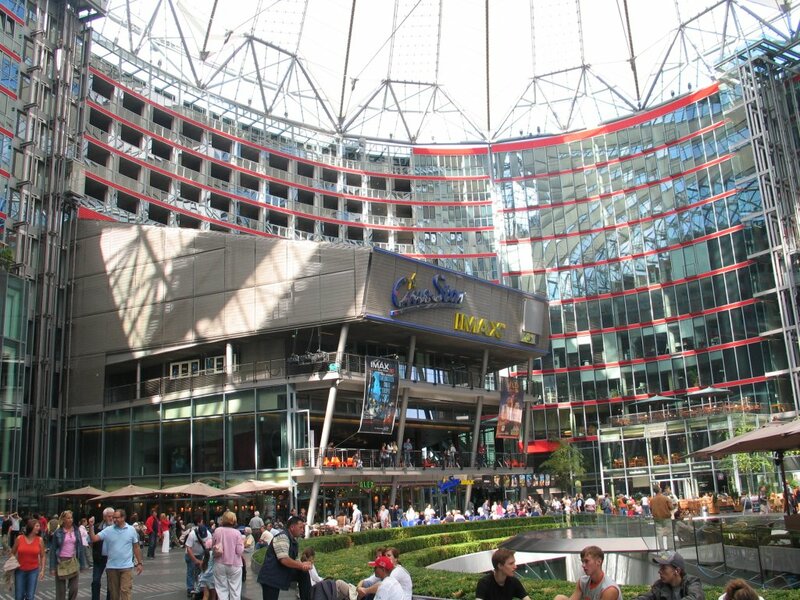 We booked a hotel, which worked out to be in a great location just two stops away from Zoologischer Garten, one of Berlin’s shopping districts. 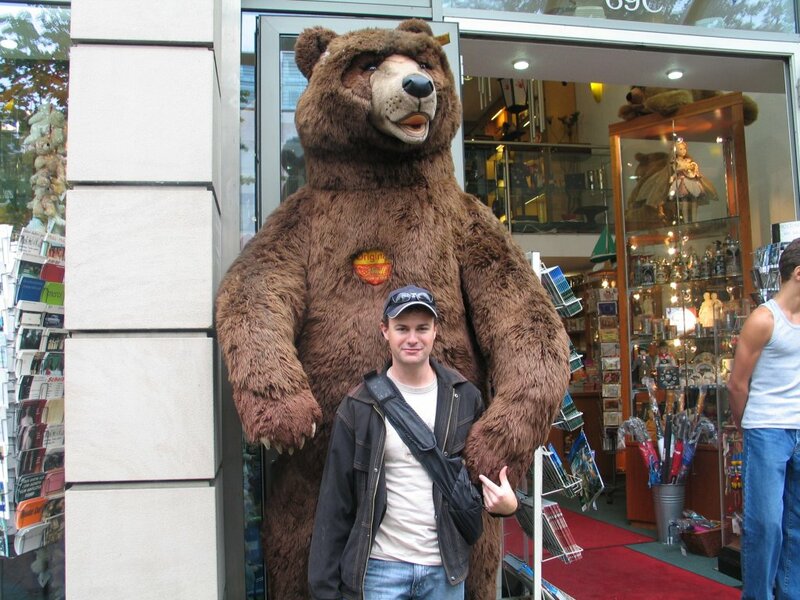 Traveling around Berlin was a breeze. 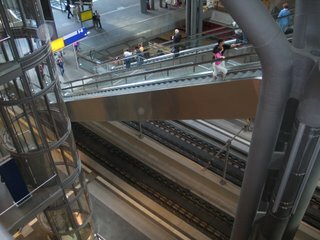 The public transport network is fantastic, with U-Bahn, S-Bahn, Trams, and buses, we could go anywhere in the city any time of the day. 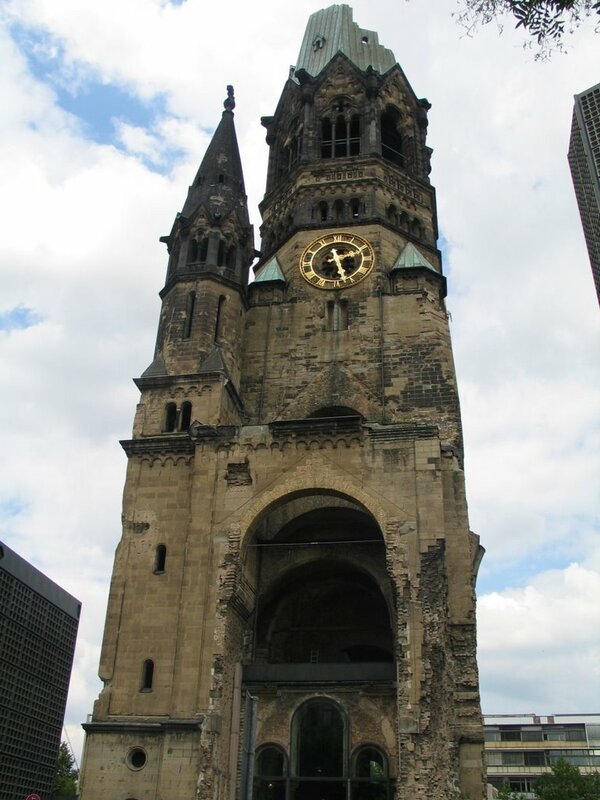 Berlin is a great city, rich in history, so many attractions, brilliant night life and so much to do. Way to much to do in two and a half days! I took quite a few photos, but some on Sunday didn’t quite turn out because of the weather. Here they are. Me standing at Potsdamer Platz. 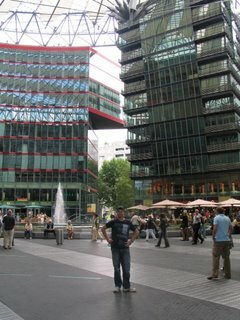 This is a really nice area, with cafes, shops and movies. 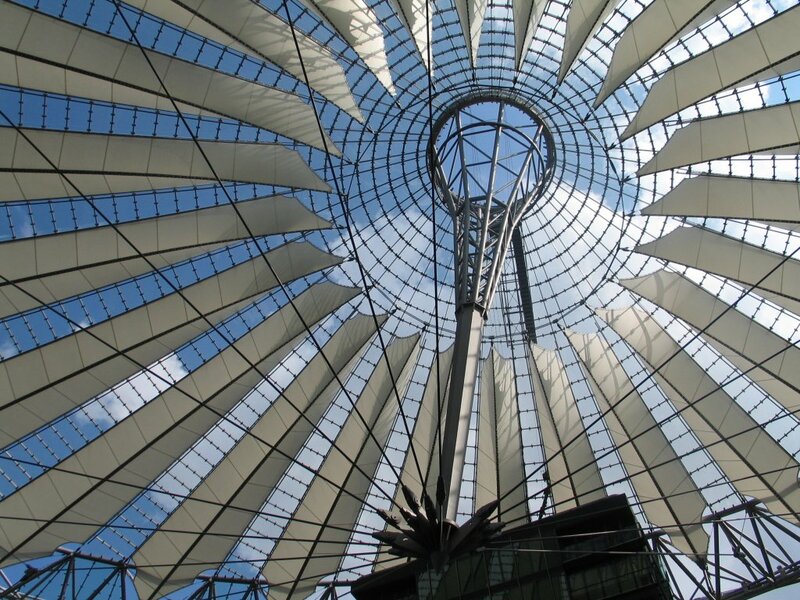 The roof at Potsdamer Platz. Is very cool. 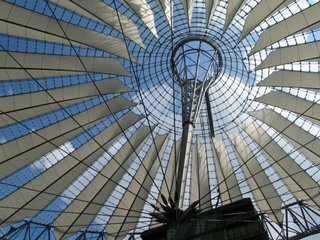 Another photo of Potsdamer Platz. I had to go here. 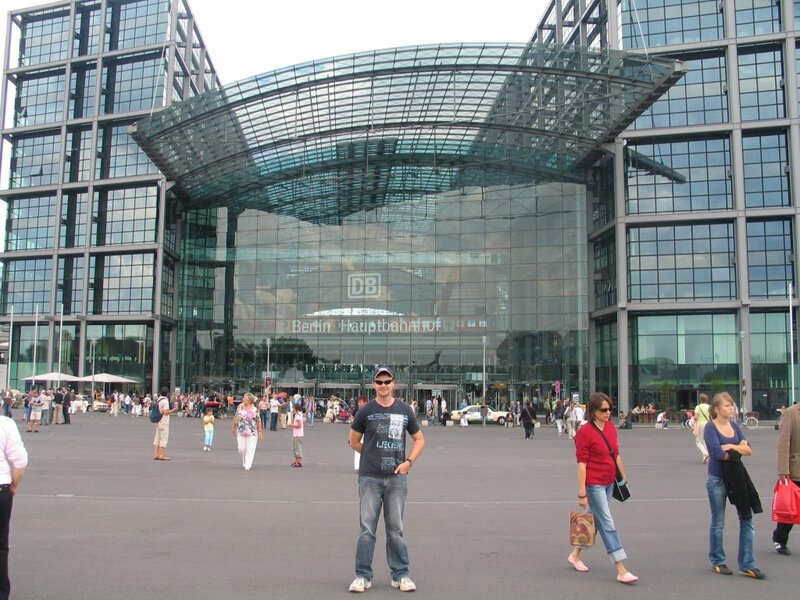 The new Hauptbahnhof (central train station) in Berlin. This is a pretty amazing station, with multiple levels for trains, and multi levels for shopping and information. The Reichstag. Germany parliament house. The lines to go up to the top of the dome were huge. Next time I am in Berlin I will wait, but this time we only had two days. 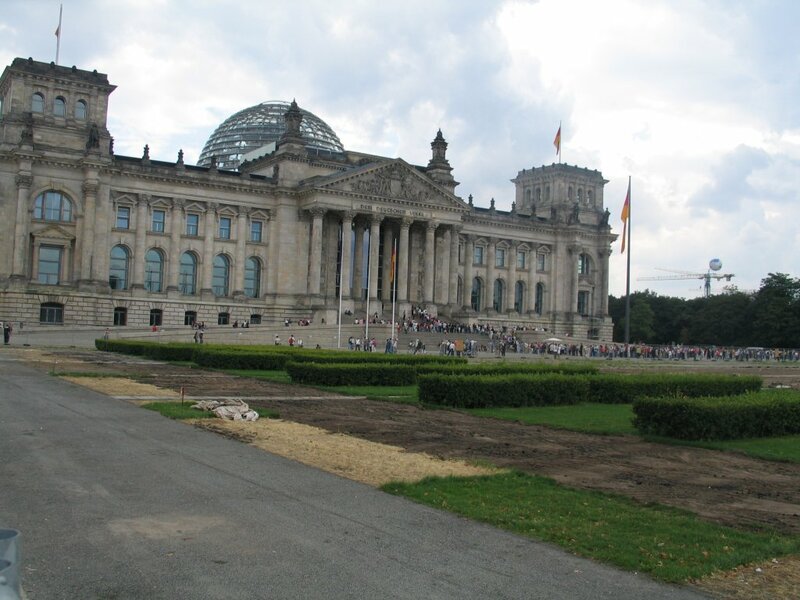 This building is quite famous due to the a recent face lift, and it is where the re-unification occurred October 3rd 1990. Britty tells me that Oct 3rd is also a public holiday! 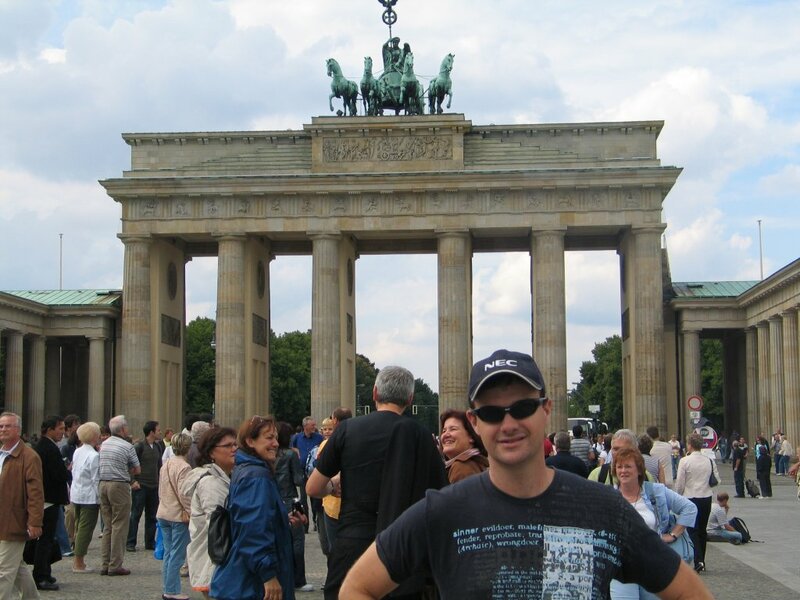 Me at the most famous icon of Berlin, the Brandenburger Tor (Brandenburger Gate). Britty and myself past through just as Napoleon did in 1806 when his army conquerored Berlin, as Hitler did when his Nazi Party took control of Germany in 1933, as did many soldiers during the Battle of Berlin in 1945, and as did the West German Chancellor when he greeted the East German Prime Minister on 22nd Dec 1989 to reopen the Gate after about 28 years. The Gate has also been visited by so many important people, and was a symbol of the divide between east and west during the Cold War. The Wall use to be close to where we were standing. Now they are building a new subway station! That’s progress. 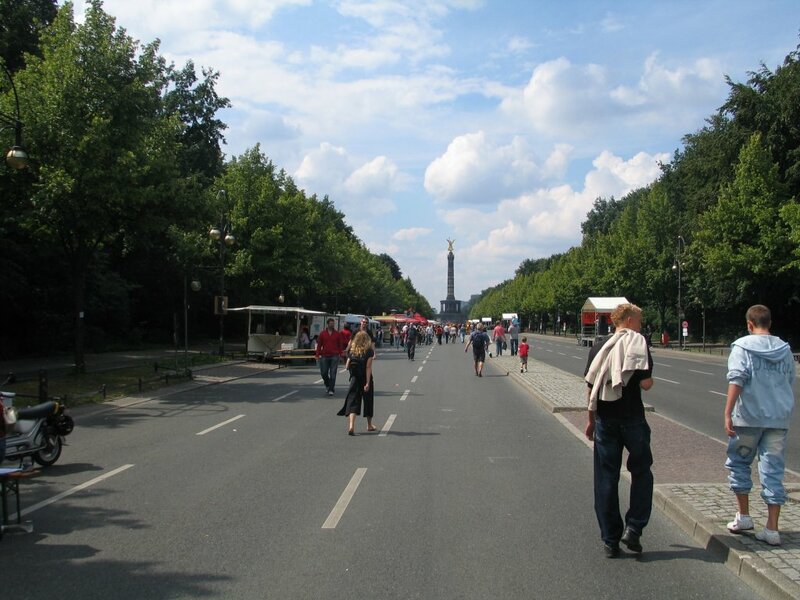 Many Festivals, and Fan Mile during the World Cup was held here, between the Gate and the Siegessaule (Victory Pole). There was some type of festival going on when we were there. The Kaiser Wilhelm memorial Church. 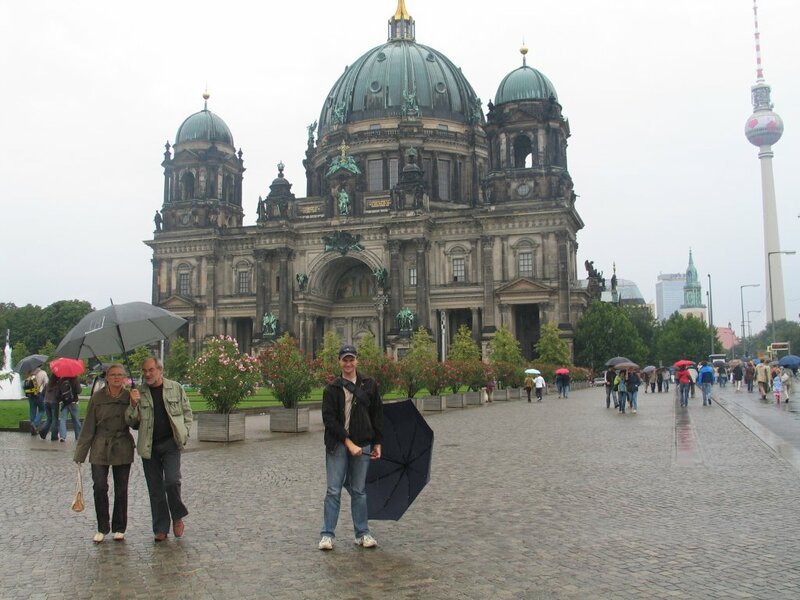 Me infront of the Berlin Dome. 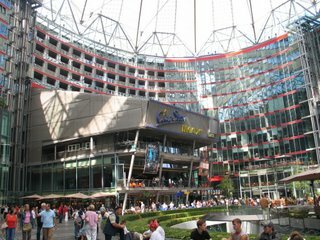 It is also very nice inside! 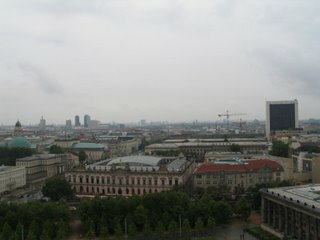 The view from the top of the Berlin Dome. Pitty about the weather. 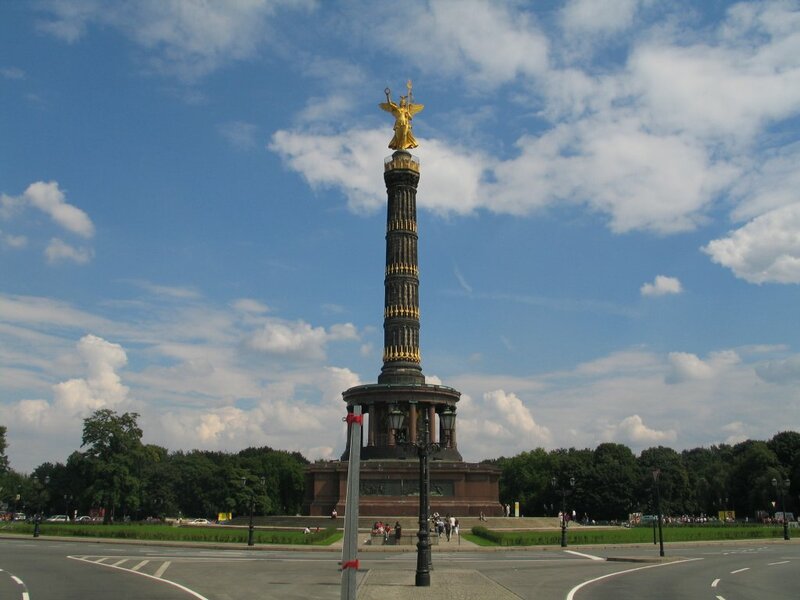 A closer view of the Siegessaule (Victory Pole). It is in the middle of a huge round about. 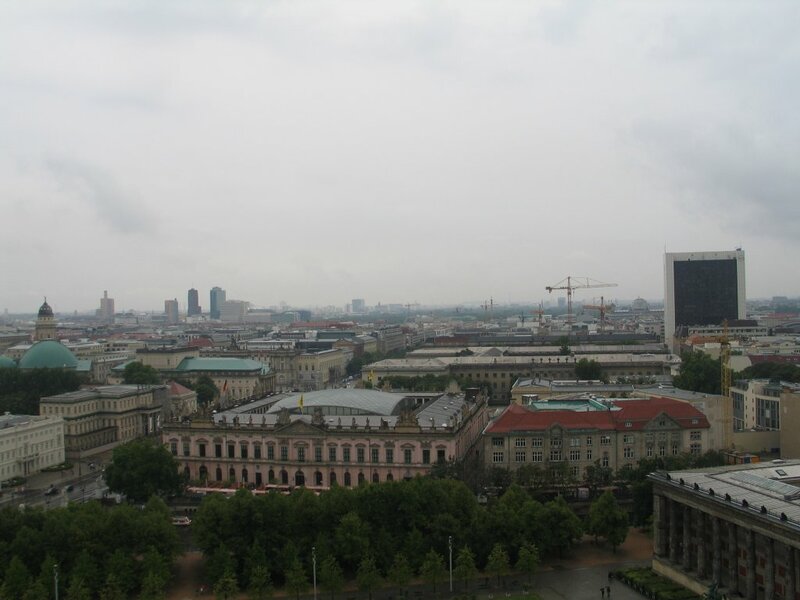 Berlin was great fun. 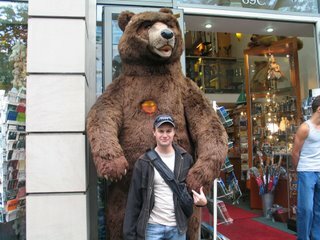 We also visited one of Berlin’s night spots. Was very good, but extremely expensive. Now we have been to Berlin, we are counting down until we travel to Mallorca on Tuesday!